On 28 February 2019, EIUK will have been in existence and sending missionaries to our project countries for 35 years. We are celebrating this milestone at our EIUK Annual Conference and AGM, which will take a slightly different format than usual. This includes lunch and tea/coffee. We promise this year to make sure that the church is nice and warm throughout the day! This year the conference will allow for time to reflect on the 35 years of EIUK, to celebrate the achievements and we'll also have more free time to socialise and catch up. Paul is the International Director of Emmanuel International, based in Canada. 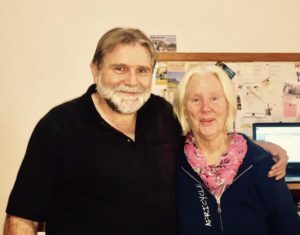 Paul and his wife, Helen, have returned from Malawi. They were the EI Country Representatives in Malawi for 31 years. Obviously we hope that you will be there! Without our wider EI family, friends and supporters, there would not be 35 years to celebrate. We extend a special invitation to Emmanuel International UK alumni to come and join in the celebrations with us. Plans for Saturday night after the conference? As the Conference is one day only, many of the board and other attendees will be staying over on the Saturday to have a catch upl We will be booking a restaurant for the evening. 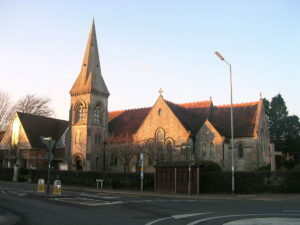 The next morning we will have the opportunity to meet for breakfast and go to ogether at St John’s Church Southbourne. Please join us as Paul and Helen will be with us over that time as well. What if you need overnight accommodation? The best rate for overnight accommodation is at the Travelodge Chichester Emsworth. It is not the most conveniently situated but manageable. Visit their website. The Travelodge has a 40% off offer that is valid until 31 January (discount code 40OFF). There are a number of other options in Chichester that you could use. Please download the booking form, complete and return to the office along with your booking fee. Address: EIUK, Forum House, Stirling Road, Chichester, West Sussex, PO 19 7DN.